Another great issue for Superman under the DC Rebirth banner. 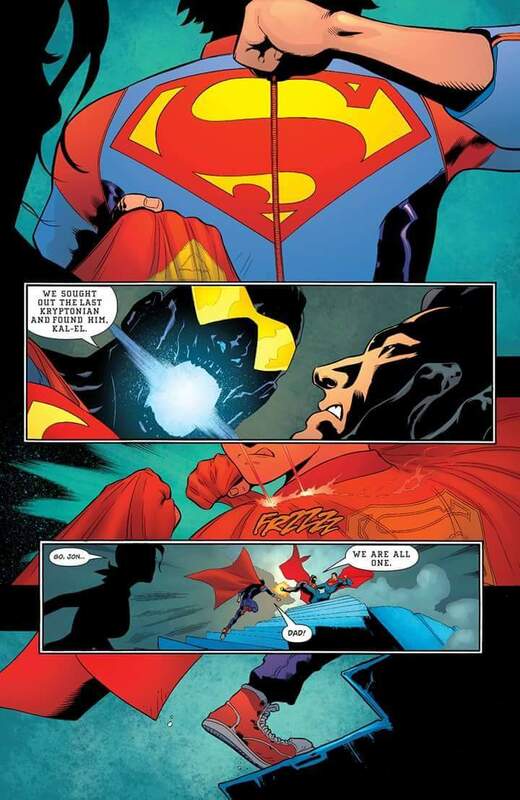 Here we go with Superman # 4 spoilers. 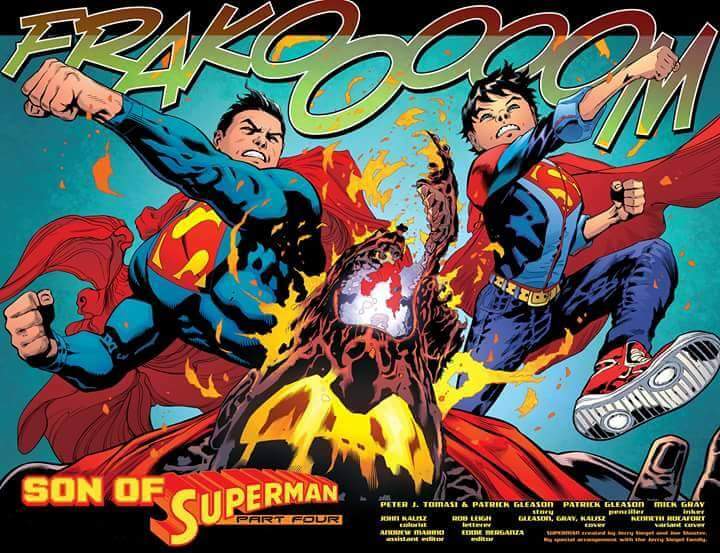 The issue was written by Peter Tomasi with art by Patrick Gleason. 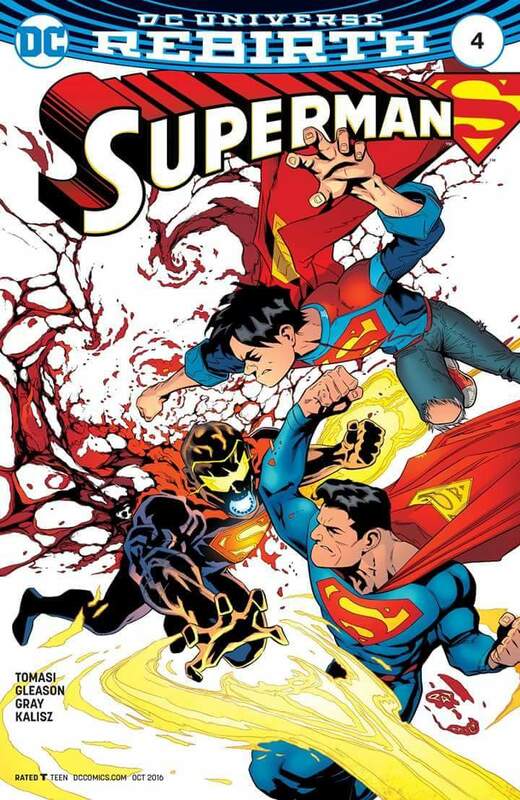 In this issue we pickup with Superman and Eradicator’s fight. Its an ugly fight inside the Fortress of Solitude with Jon Kent and Lois Lane Kent hanging around. 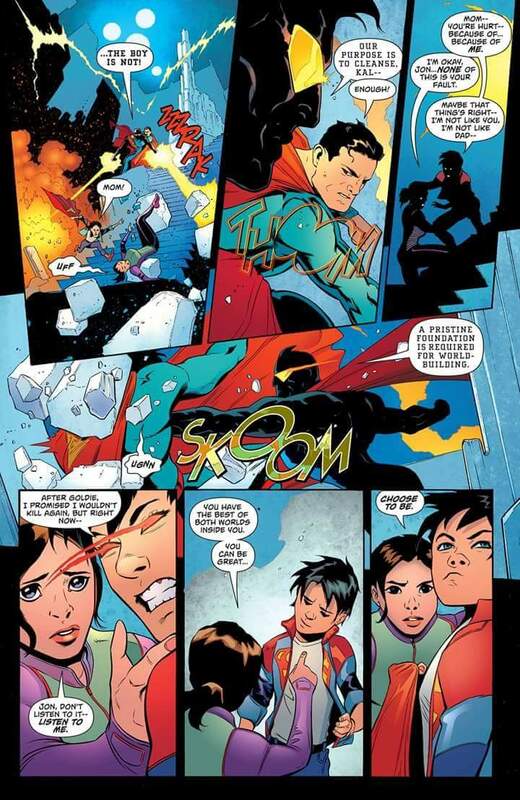 Jon saves his dad in true Superman fashion no less. He gets to wear the jacket and the cape too. 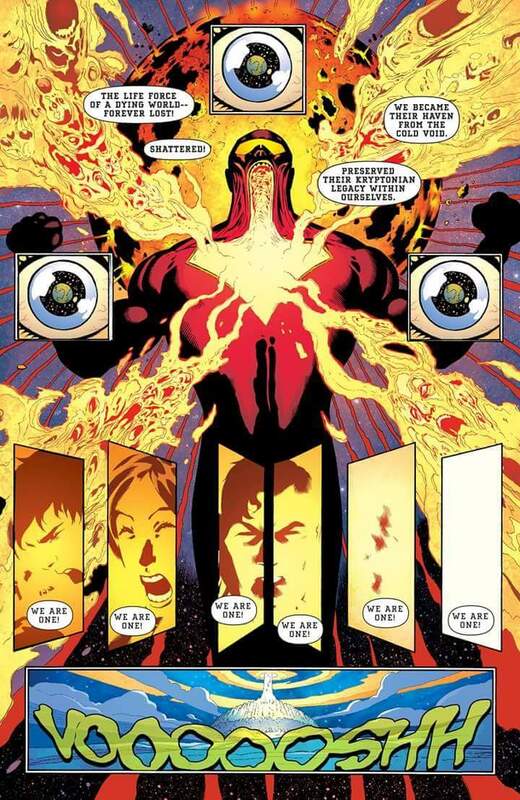 Father and son literally knocks Eradicator’s head off. Very cool moment. 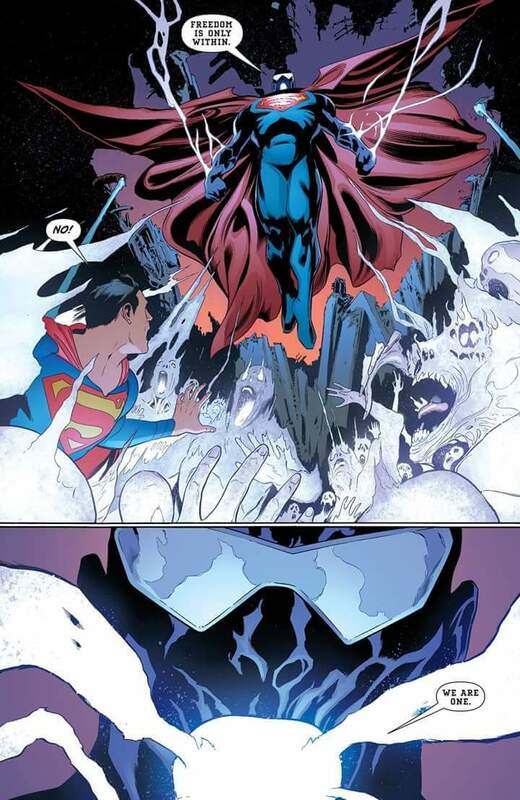 The Eradicator then reveals that he actually holds the spirits of the dead Kryptonians who were caught in Krypton’s explosion. 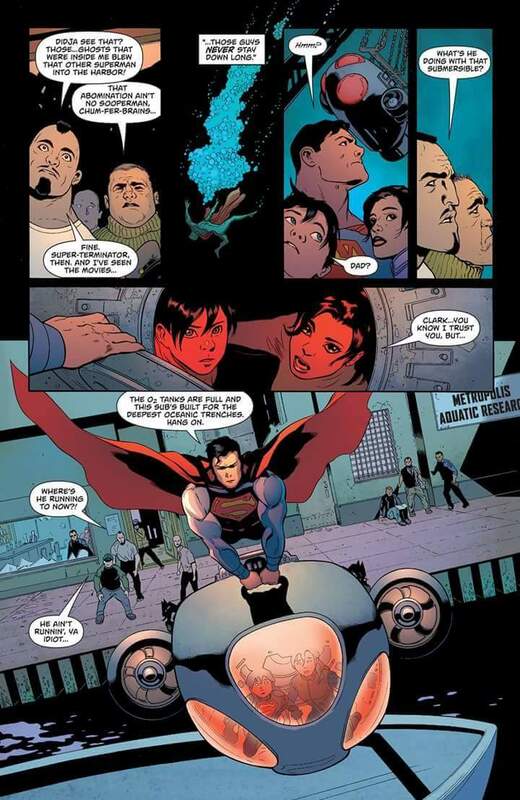 The resulting blast teleports the Kents to a familiar place… Bibbo’s in Metropolis. Lois saves her husband and son by putting some distance between the Kryptonians and that moon stone that Bibbo just won earlier in the issue. 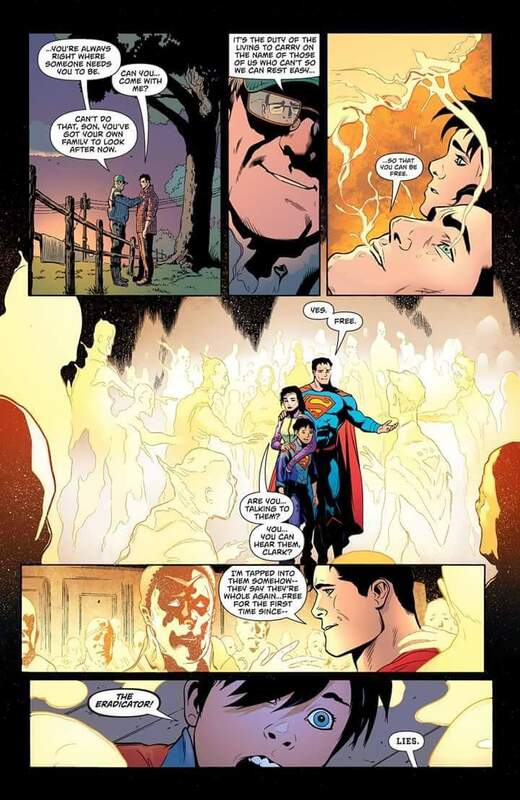 This opens an opportunity for Clark to get some personal time in the afterlife with his dad, Pa Kent who inspires him to not give up. The Kryptonian spirits also try to help and finally calm down all over this place. Unfortunately for them, most of them gets sucked back into Eradicator. The Kents once again escape with Jon providing a form of distraction for their escape. They then fly off to the moon where they plan to defeat Eradicator once and for all. How and why they need a submersible, is something we’ll have to find out next issue. Thoughts: I loved how Tomasi and the rest of the Superman churned out this issue. Great script and nice art. Will definitely get a collected edition for this title.